The first stop on our Mobile Social Worldwide was London and we connected with local cyclists, the fixie scene, and a traffic engineer. We rode haphazardly on city streets, a hot lap in Richmond, and calmed roads with cycle tracks. Riding in London is aggressive and not for the timid. 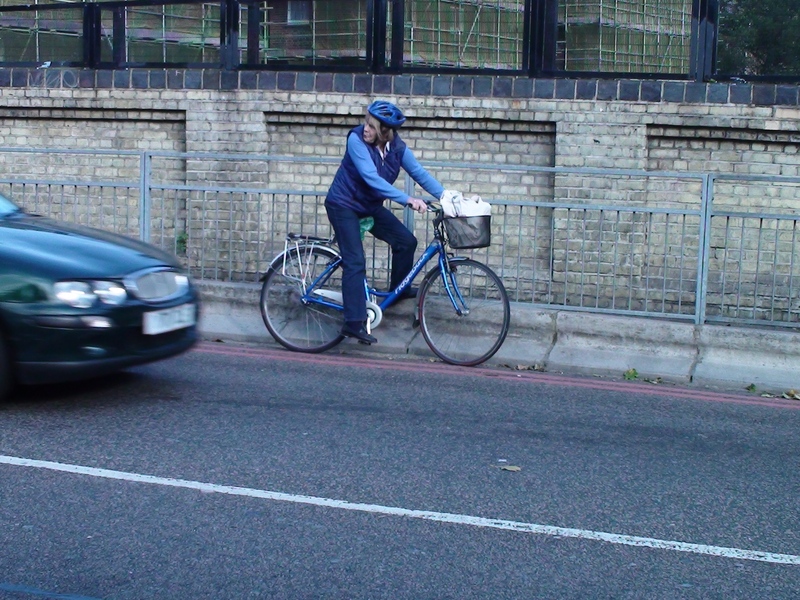 The photo sequence below demonstrates a commuter crossing a congested road into Hyde Park. Those photos are reminiscent of the video game frogger and highlight the frustration of traffic engineer Brian Deegan (Camden Consultancy) who works very hard at calming roads, building cycle tracks, lanes and lights. In Camden and Westminster you can get off the busy streets and onto cycle tracks, but how would you know that? You need to ask or ride with a local, like alien8, to learn the tribal knowledge. I watched as commuters – at the rate of one every 4 seconds – rode right by a cycle track because it wasn’t apparent or easy to get onto. Riding in London is as confusing as driving in a new city with various options, multiple paths and lanes. The city itself was built over the years without planning and the bike routes follow suit. 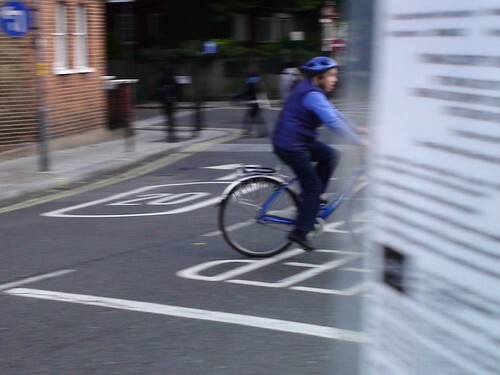 It’s borough dependent and the quality of urban cycling varies vastly between them. That doesn’t mean the city isn’t rideable, it certainly is, but get yourself a GPS with the London Cycling Network loaded or find a local to help you until you get your legs. London cyclists started riding about 10 years ago out of frustration with the Tube and haven’t stopped since. They’re everywhere and ride fixed, folding, road, and cargo. The city planners are catching up to their enthusiam. 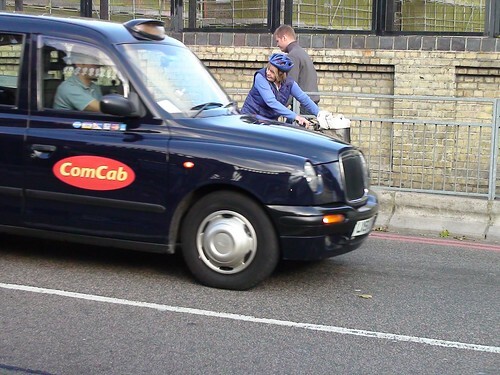 London has some of the bravest cyclists I’ve ridden with in conditions that would prevent many from commuting. Where else would lorries, cabbies, and cars brush you regularly? In London town.